You care needs are unique. 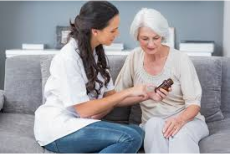 A Loving Heart Home Care, LLC offers a full range of In-Home Services – your care plan can be tailored to meet your needs. Home care services are versatile, flexible, and customized for your comfort, peace of mind and well-being. With A Loving Heart In-Home Services you’ll experience a better quality of care. We are locally based in your community.